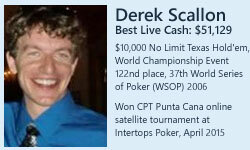 Derek Scallon, 32, is a professional poker player in Chicago and produced a poker documentary film a couple of years ago. 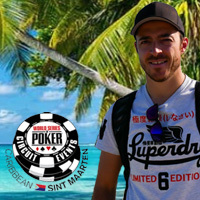 He's one of five online tournament champions that will be travelling to the Dominican Republic next month to play in a major live tournament, CPT Punta Cana. Bet Raise Fold tracks the origins and evolution of the Internet poker industry during the 2000s and its impact on a new generation of poker professionals. 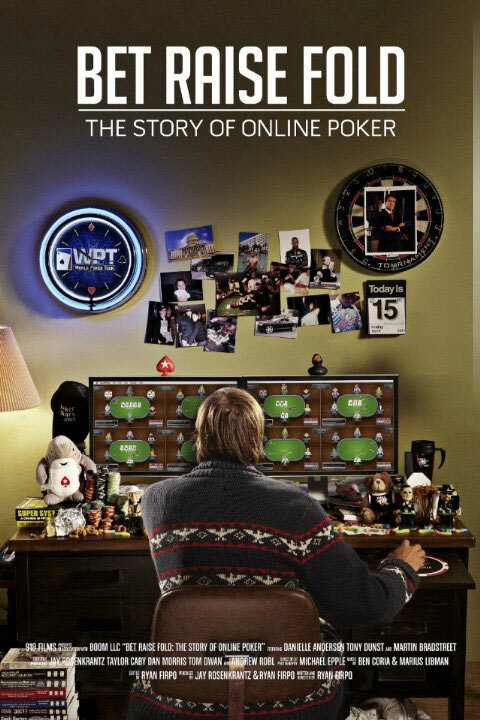 It examines the conflict between the US government and online gambling that eventually led to 'Black Friday,' the government shut-down of online poker in the United States. The rise and fall of the billion dollar industry is woven with the lives of three major characters: Danielle, a young mother from Minnesota who used online poker to support her family; Tony, a polyamorous Las Vegas tournament pro who hosts the World Poker Tour on television; and Martin, a math genius and poker savant from Australia who used his poker winnings to travel the world. 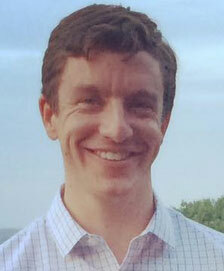 Bet Raise Fold is a coming-of-age story for an entire generation of young poker professionals. 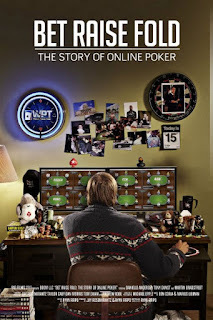 The film follows Danielle, a young mother from rural Minnesota who used online poker to support her family; Tony, a Las Vegas tournament pro who co-hosts the World Poker Tour on television; and Martin, a world-traveler from Australia obsessed with understanding the intricacies of the game. These players used online poker to build a life, only to have it all stripped away in one fell swoop by forces beyond their control. The independent documentary, financed by a group of 12 high stakes online poker players, debuted to great acclaim at the 2013 World Series of Poker in Las Vegas, and launched worldwide via VHX on June 30. Gravitas Ventures acquired the North American and international VOD rights after observing strong audience reactions and Internet buzz. Join Derek on his Punta Cana adventure -- check this blog November 4th - 9th for daily updates from the Hard Rock Casino Punta Cana!